The TAD were red plating at 55mA so yes there must be something wrong. I suspect something high frequency related. Time to debug. Hi, If you have a scope...check for both very low frequency oscillations (under about 1HZ) and very high ones (over 15KHZ). Verify that the negative feed back is correct. If you disconect it the sound level should rise a little. Also verify that the ground tap on the output transformer is actually going to a signal ground. If not the NFB will not operate properly. I have not had good luck with TAD tubes either, JJs always work for me. To easily check if lm317 is dead, measure 1.25V accross Adjust and Output terminal, if there is zero volts or 1.5V+ then its dead. Because your running 450v you need to drop your current. Looking at graphs, at 450V accross the tube the max current is 60mA, if you set it at 60mA then it will redplate because its spot on max disipation. Another possiblity is that your valves have the wrong screen resistance, the transformer is not designed for el34. The screen G2 maybe red platting, if this is the case then you can add series resistor before you connect G2 to transfomer, you'd typically be using at least 2watt types. When I was trying to transplant some EF183 for my pre amp as cathode followers, I knew nothing about pentodes. I looked at valve wisard as one of my tutorials, it says that its a commonthing that the screen grid burns out before the actuall plate does in power amp. If you can tell the the transfomer resistance from B+ tap to G2 connection then I can possibliy use maximum power transfer theory to limit max power into screen and prevent it from burning. max power transfer means the load, screen sees half of supply voltage for max power, at this point the ratio of current draw and voltage is at maximum resulting in maximum power seen for screen. If screen sees half supply and the transfomer tap see another half, we can find out resistor value needed. Hi, Thanks for folks chiming in. It is always good as it shows folks care about other diyers. In this case I think it may be interesting but a little off target. I guess one question that is important...did you use the CXPP25 series of Edcor transformers? The amplifiers are designed around their electrical properties. Others may work but they may also create unexpected problems. Amplifiers using the 62 ma cathode current with approximately 425 volts anode to cathode will be dissipating a combined power of about 26 watts per tube. The combined rating for the screen and anode is 33. This places it at about 80% which is where I designed it. In the 10 years this design has been out there I have never heard of a single case of screen failure in full spec tubes. (none in others either) Seconds could have problems and unfortunately there are dealers that will sell them to unsuspecting customers. Additionally there are some brands do not behave well in class A designs. No disparity on them, they just don't work. I have personally had problems with TAD and Tungsol tubes. I have had fine results with JJ, Gold Lion, Winged C, and except in certain uses EH. If the LM317 has failed it will cause highly excessive current to flow. Way past 62 ma per tube. The tubes will essentially try to consume everything the power supply can deliver. That sort of failure is really obvious when you measure the test points.....it will indicate 100's of ma. The voltage from cathodes to ground during normal operation should be in the 25-35 volt range. If the 317 has failed the voltage across it will be under 4 volts and the B+ will be down significantly. I would not put resistors in the screen circuit. It will have unpredictable effects on the overall performance and has never been needed in amps built according to the project. Thank you very much for yor help guys. I spend yesterday evening looking for something weird like some self oscilation. Only high frequency noise I found is from the heater SMPS, anyway I manage to reduce it quite a bit with no diference to the red plating. Then I go back to 55mA, my previous test at 55mA was with the TAD and they still red plate at this current. Now, the Tung-Sol seem happy at 55mA, no red plating. To sumarize my experience: At 55mA I have two of the TAD red plating. At 62mA I have one Tung-Sol with a faint red-plating, this particular tube seems is weaker, installed in other position also red plate. At 55mA none of Tung-Sol red plate. I used CXPP25 and XPWR236 transformers for B+. I'm woundering if its possible that you've swapped the screen grid connection with plate connection on transfomer by accident. If you put a 470ohm to 5.6k ohm resistor in series with screen then it will protect if from overheating, If you make this resistor too large, the valve becomes more weak, for same cathode current the plate to cathode voltage diffrence is less. If you see 10v accross a 470ohm you are getting 10/470=0.021276A accross this resistor. This will help you find the resistor power needed. To reduce heater noise, try a large cap connected to heater and ground. I typically use 1000uF on my pre amp builds, by doing this running AC heater is eqivilant noise to running dc heater. Hi, If you are using the proper transformers (you are) and the voltages are as you indicate then no screen resistor is needed. Based on the existence of many diy and commercial versions of the amp (there are hundreds out there) I recommend against it. There is naturally some resistance in the transformer and the portion between the power input lead and the screen tap is shared with the anode. Effectively it puts about 400-500 ohms there. The actual resistance is different and the proportional values are estimated based on the different current flows between the anode and screen. 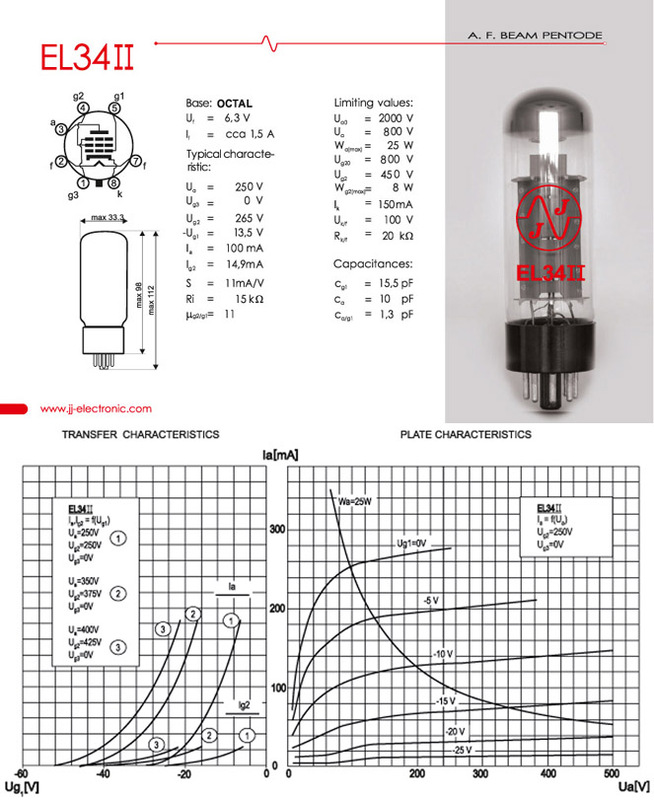 A licensee of my design had difficulty with KT120 tubes red plating at 80% dissipation levels. He did numerous experiments with screen resistance to see if it was related. It was not. It only degraded the amplifier performance. The problem was a bad run of tubes. They would work OK in class AB, but could not handle the power dissipation of class A. Based on lots of experience with these amps and a lot of feed back from diyers and customers I figure that unless there is a wiring error then it is nearly certain that the tubes are causing the problem. However the second thought does have merit and I use a similar arrangement in my phono preamps. They have considerable gain and any noise in the power sources is undesirable. They too have DC heaters and the SRPP design mandates that the heater circuit not be grounded, but actually set at about 1/3 the value of the voltage on the upper anode. A similar situation exists in the Oddwatt amps. What I do is attach a 50uf /250 volt capacitor from the heater circuit to the signal ground. Depending on the actual build it can go to either side of the heater circuit. Most often it works on the lower side (least positive). I usually put a three pin jumper on the board with each of the end pins going to one side of the heater circuit. The center pin goes to the capacitor. Using a common jumper like found in computers you can try each way and not have to do any re soldering. Sometimes it makes no difference then you can just leave the jumper off. I don't do this in the power amps as the amount of noise reduction is so small that all other sources of it mask it. Plus the signal levels are much higher. There is no need in the Oddwatt design to go over 50uf as the impedance to ground (via the resistor divider from the B+) is about 100K. I have tried values up to 500uf but 50uf works as well any bigger ones. Remember that there is DC voltage on the heater circuit so you can not use any capacitor with low voltage ratings. A minimum IMO is 250V. EDIT: I am not sure what sort of noises you are getting....but these amps are quiet. Most measure in the -90dbv (db reference 1 volt) range. Dbv is what my test gear reports. If there is noise then likely either a wiring error, noisy tubes or a build/layout error. I have mine on 96dbw speakers and there is nothing ...even with your ear right to the speakers. Thanks again for help Bruce and Kochiya. I have around 10mV switching noise on the output. Noise is high frequency, >1MHz, it seems to me not really the switching noise but the ringing from the coil after switch cycle ends. On the power supply for the heaters I started with the recomended 12v to power a pair of tubes in series, but when I started looking at the red-plating issue, one of the different changes I test was to add a 12 to 6v DC-DC to power heaters in paralel and it remains in this way. What I did to reduce SMPS noise is to install a big common mode filter after the DC-DC and a 2,2uF to signal GND in either heater+ and heater-. Because of the high frequency nature of the noise I choose the relatively little capacitor, I will check again with the recomended value. Last time I check I could not hear at >1Mhz , but I thought that maybe this noise could lead to some side effect that either fools the LM317 or makes the tubes unhappy on my amplifier. On other news, I can stop hearing this amplifier, how satisfing is to make something with you own hands that sound so well. Hi, Using a SMPS for heaters can be fine. I have done it several times. The problem can be the switching noise. Both in the DC output and direct radiation to nearby components. Not all SMPS are created equal and I ran into several that were particularly noisy. In all my latest designs and builds I use a more conventional arrangement. It does however require a non-standard AC filament voltage from the transformer. Depending on the actual mains voltages the heater winding should provide between 10.9 and 11.1 VAC into a high current bridge rectifier and large filter caps. I use 10,000uf. This arrangement will provide a nice 12 VDC for the tubes. Some thoughts on the high frequency noise. First without a scope it will be difficult to measure accurately. Most meters flake out well before that range. The issues as I see it are, one the SMPS may be putting junk into the system. Two a nearby radio station or piece of equipment is putting junk into the amp (PCs are particularly bad at this). Third the red plating may be indicating that the junk coming in is being amplified and turned to heat since the transformer is unable to pass it to the load. Or the amplifier is oscillating at that frequency. Did you try disconnecting the feed back? If so what was the result?